We first told you about the Comme des Garçons and Beatles collaboration in September. The launch party for the line was held last week in Tokyo at Trading Museum, a new concept store by the masterminds at CDG, chiefly, Rei Kawakubo. 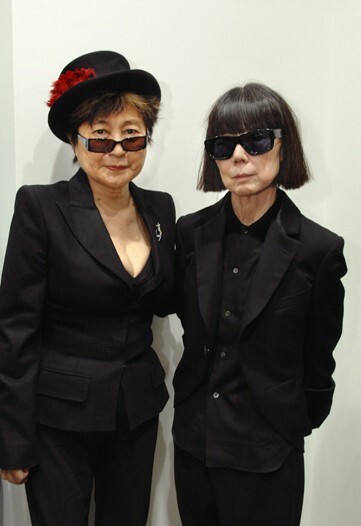 The designer was hanging with the likes of one Yoko Ono – both dressed to match, natch in ultrablack, no doubt. Previous Post All I want for Christmas is… Mini Karl!